One if by land, two if by sea, three if by snow? With the Akoya, the upscale, amphibious aircraft made by LISA Airplanes, you can now take off and land on any of these surfaces, which allows for travel to places you could only dream about visiting in most other aircraft. 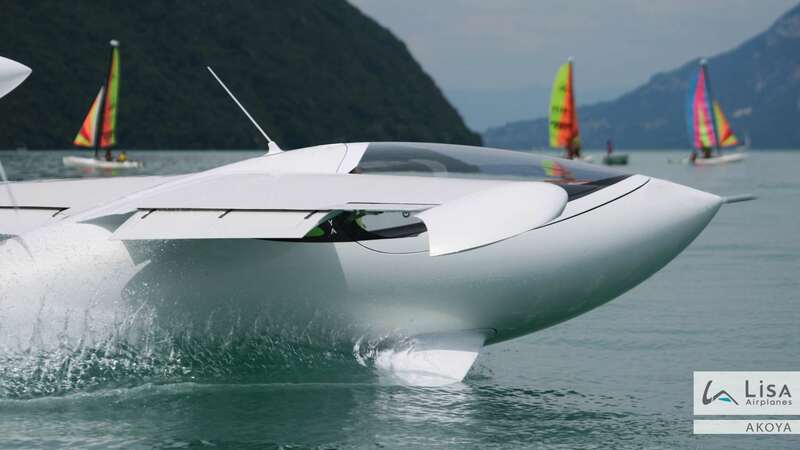 Costing just north of $300,000, the Akoya’s smart design and unprecedented versatility make it one of the best amphibious airplanes. 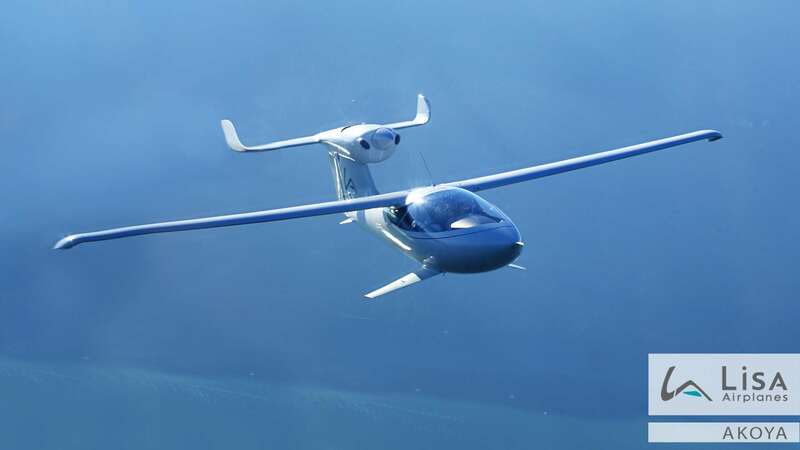 It can reach speeds of up to 135 knots and can take passengers to destinations of up to 1000 miles away with an impressive 36 miles per gallon fuel consumption. After your quick, comfortable flight, the Akoya is capable of landing on less than 650 feet of space, and the wings of the plane can be easily folded to allow for quick storage in even a small garage. Travel in comfort and style in the Akoya, and effortlessly reach all of your dream destinations. 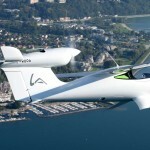 The Akoya is a luxurious, two-passenger airplane designed with your comfort in mind. The curved seats that grace the Akoya adjust to your height so the rudder pedals are always in the optimum position for a safe and comfortable flight. The Akoya’s ergonomic seats are also tilted at a backward angle, a design element that helps to support your entire body, reduce fatigue on longer journeys, and promote total pilot relaxation. 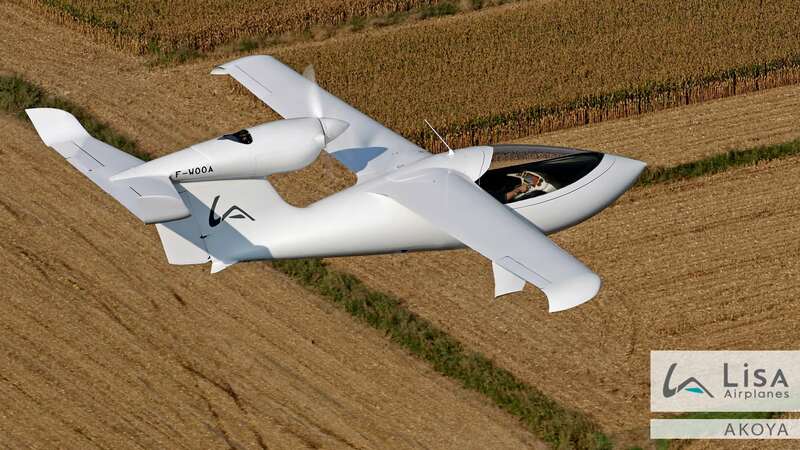 While piloting the Akoya, you’ll be able to gaze out the panoramic tilted canopy, which allows for total visibility. And don’t worry, the canopy is designed to limit overheating of the cockpit, and can be enhanced with ventilation, heating, and demisting systems. The Lisa Akoya is not only designed to promote the maximum comfort of its passengers but is also designed with simplicity and ease of use in mind. The electric canopy effortlessly slides open, and perfectly-placed steps allow for easy access to the Akoya whether on land or on water. Depending on your destination, the Akoya’s ample luggage hold can store your golf clubs, skis, fishing poles, and much more, allowing for a more comfortable ride for you. The Akoya is the ultimate way to travel in comfort, and its ease and simplicity of use make it an irresistible choice to take you wherever you want to go. 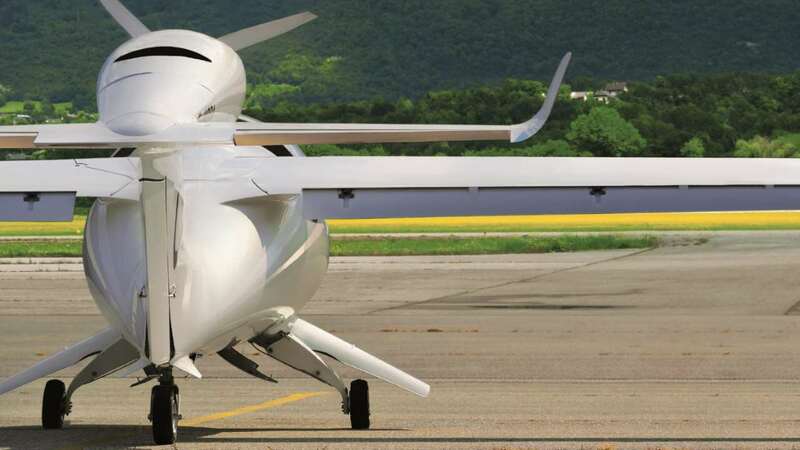 The Akoya is an upscale airplane that can be customized to fit your personality. You are a unique individual, and your airplane should be a reflection of your style. LISA Airplanes can combine a variety of colors and materials, such as leather, nubuck, and other technical fabrics so that your Akoya meets your specifications. You are given complete freedom to design your Akoya how you want, and designers are on-hand to assist you in choosing your unique cockpit configuration. By customizing every detail of your Akoya, you’ll always fly in refined style. 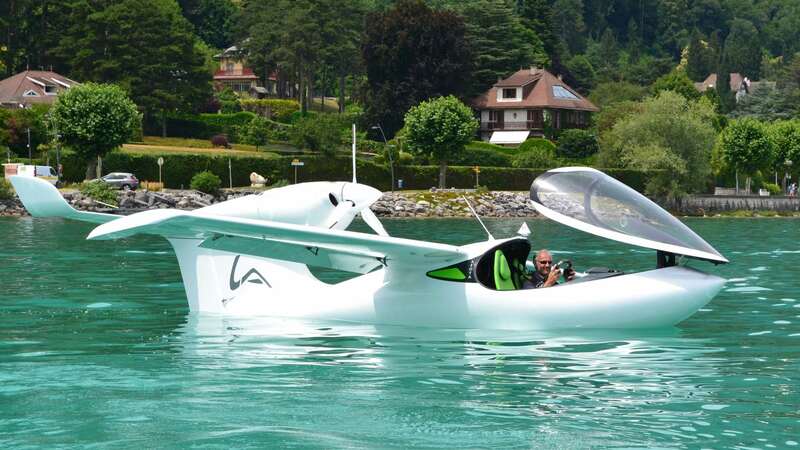 The Lisa Akoya airplane is one of the best amphibious aircraft on the market and can land and take off of the ground, the water, and even snow. Using exclusive Multi-Access™ technology, the Akoya combines two hydrofoils, retractable landing gear that is equipped with skis, and folding wings. 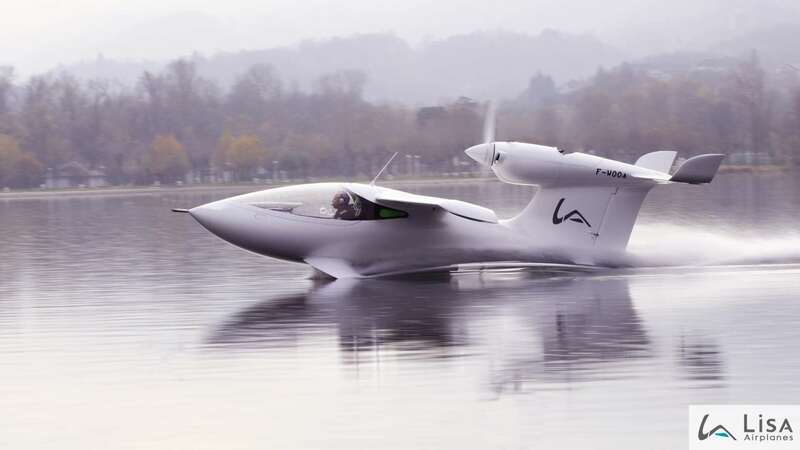 The hydrofoils, which feature LISA Airplanes’ patented Seafoils™ technology, are two underwater “fins” that allow the Akoya to quickly and effortlessly lift its fuselage out of the water. The Seafoils™ also provide for extra stability and improved aerodynamics when the Akoya is taking off and landing on water surfaces. As the only light amphibious aircraft equipped with skis on its landing gear, the Akoya has more versatility than any other amphibious aircraft. These skis fit inside the fuselage during flight and can easily be removed during the summer season. 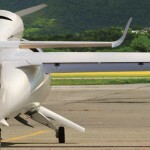 Additionally, the Akoya’s skis are meticulously placed midway up the wheels, which allows for the plane to transition from snow to dry land with no change in the landing gear. 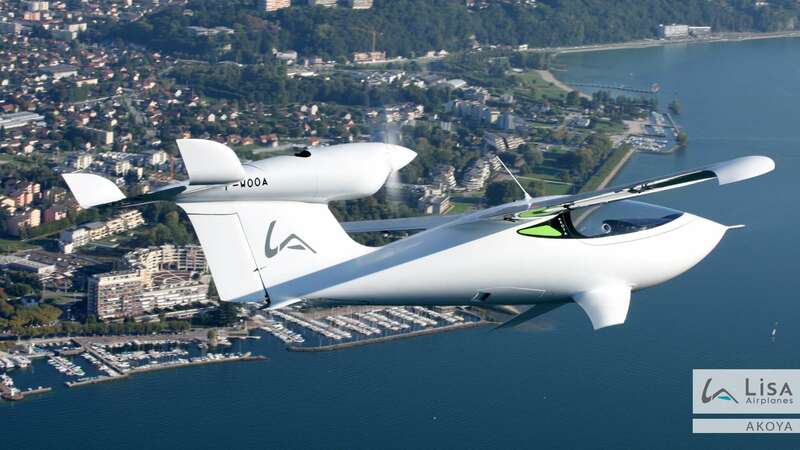 The Akoya is not only an airplane, it’s a gateway to a new lifestyle. Skip the travel-time involved in taking commuter flights or long, boring drives in a car or train. With the Akoya, you’ll arrive in comfort and style, and can land right outside the door your favorite, out-of-the-way destinations, whether they’re on land, sea, or snow. Hi, and welcome to ToysforBigBoys.com. My name is Joshua Zimmerman, your product specialist. Today we’re talking about a very cool product we have here on the website, called the Lisa AKOYA. 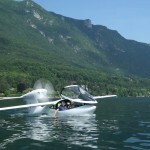 This is a two seat, amphibious ski plane. Which means, not only can it take off from the ground, it can take off from the air and even the snow. That’s because of it’s multi-access landing features. Now we all know conventional landing gears, wheels, whatever, can take off from the ground, most airplanes can do this. 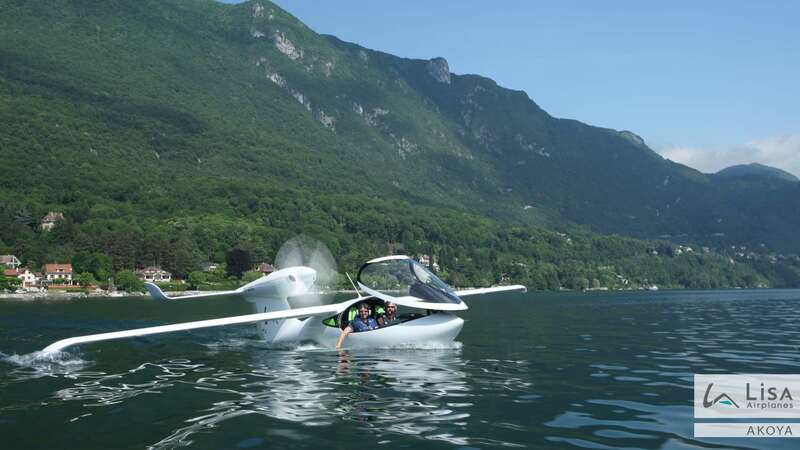 But this is also the only airplane with hydrofoils, which means it’s very simple, very easy, very comfortable to take off from the sea. Not only that, but if you want to travel to the Swiss Alps, maybe you want to go snowboarding, or skiing, it also comes with landing gear skis. So you can land really anywhere in the world. This Ski plane is your passport to the entire world. Any destination you can think of, you can go to and you can access it with this Lisa AKOYA. Now it’s made out of very high quality, all composite materials. So if you want to travel in the safety, it’s out of the question. This is a very safe instrument. It is a highly tuned machine and it really can bring you a passport to the entire world. It’s going to get you there faster than a train, it’s going to get you there faster than a commercial airliner, and it’s going to get you there faster than a car. Because it can take you straight to your destination, no matter where it is. Plus, it clocks out at about 136 knots and gets about 36 miles per gallon. So if you want to travel around the European provinces, it’ll take you about two hours maybe, to travel from province to province. Which is really astounding. Now it is larger and more comfortable then more commercial airlines even. So if you want to travel in luxury, you want to travel in comfort, you want to travel with privacy, then this is definitely the best, most romantic, most exciting way to do it. If you like speed, if you like the thrill of flying, and if you just love traveling, you love cultures and you want to see the world as easy as possible, the Lisa AKOYA Ski Plane is going to make seeing the world easier than any other machine you could possibly get your hands on. I’m thinking about getting my pilot’s license, just so I can try it out. 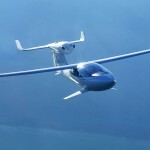 I want to fly one of these things and you should too. While you’re here on the website, go ahead and check out all the other products we have here on ToysforBigBoys.com. Once again, my name is Joshua Zimmerman, your product specialist with the Akoya Ski Plane. Have a great day.